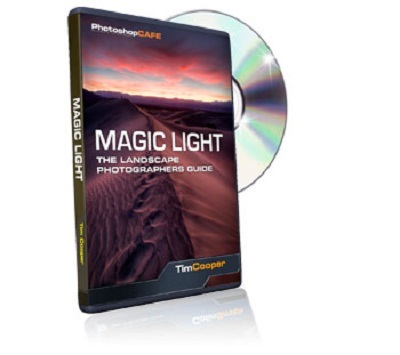 PhotoshopCAFE: The Landscape Photographers Guide to Magic Light (2010) (New Links) » Развлекательный портал Jolly Roger Project. This famed light goes by many names but is known to all landscape photographers as on of the best time to make images. This warm light is soft enough to lower contrast but directional enough to define the landscape. Join Tim Cooper as he explains exactly how to use this light to make stunning and dynamic photographs of the natural world. This video begins with a study of the aspects of light that pertain to photographers- angle, quality, and color. Tim demonstrates how light affects our images at different times of day and under various atmospheric conditions. 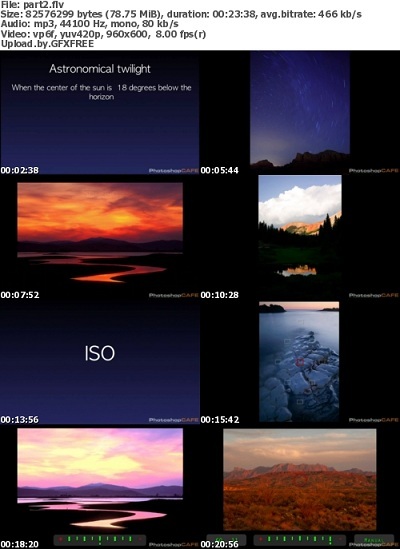 Making great landscape photos will often require a little planning so Tim explains the differences between Civil Twilight, Nautical Twilight, Sunrise and Sunset so that you can be in the right location at exactly the right time. Understanding the light is only half the battle though. To create dramatic imagery you must understand how to compose and expose for this tricky light. “The Landscape Photographers Guide to Magic Light” outlines a host of considerations, tips and tricks from using filters to getting correct exposures that will help you bring home dramatic photographs. The DVD finishes with an in-depth explanation of how to fine tune your images on the computer. Using Photoshop and Lightroom Tim fully explains the developing tools so that you can maximize the impact of your imagery. He also demonstrates his techniques for blending high contrast images together using the HDR software Photomatix.